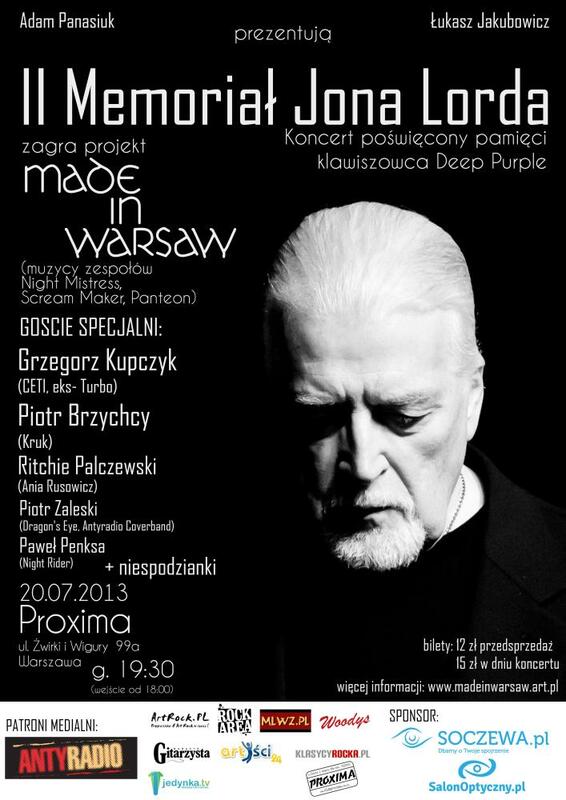 A second Jon Lord memorial concert will take place in Warsaw, Poland, on July 20, at the Club Proxima. 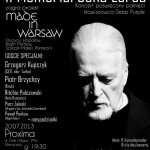 The band Made in Warsaw, comprised of members of Panteon, Night Mistress and few other Warsaw rock bands, will play over 3 hours of Purple music, including obligatory hits and some rarities that has not been played by the real band for a long time. Guest musicians will include singer Grzegorz Kupczyk and guitar player Piotr ‘plays Blackmore better than Blackmore himself’ Brzychcy. The event will be in honour of Jon’s memory and is being organized by Łukasz Jakubowicz (Hammond player for Panteon) and vocalists Adam Panasiuk. Tickets 12 zł in advance, 15 zł at the day of the show, available through online vendors. Posted by Nick Soveiko on Friday, June 7th, 2013, filed under Blog. You can follow comment on this post through the RSS 2.0 feed. You can leave a comment below, or trackback from your own site. Great news, will be there! Thank you for taking the effort to put this together and may it be a fitting tribute to a beloved keyboardist and musician that has gone above and beyond to the world of classical music and classical rock. Carry On Jon.